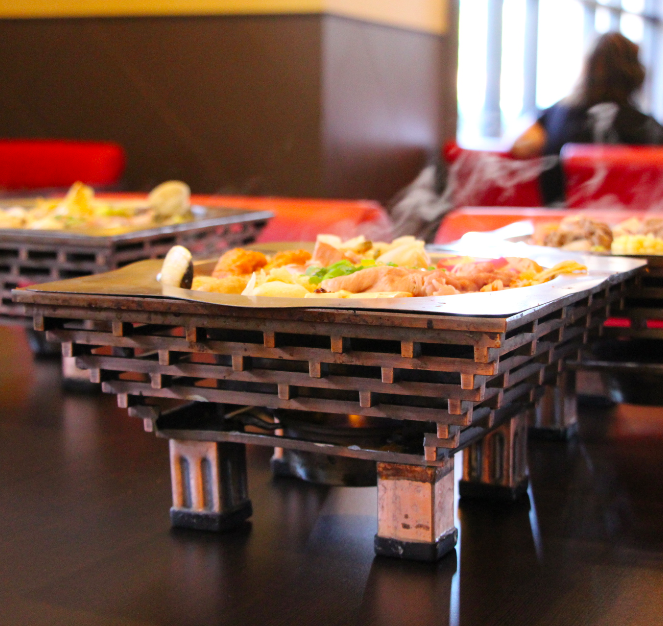 Two locations of a California-based Tawainese-style hot pot restaurant will open in San Diego this February. 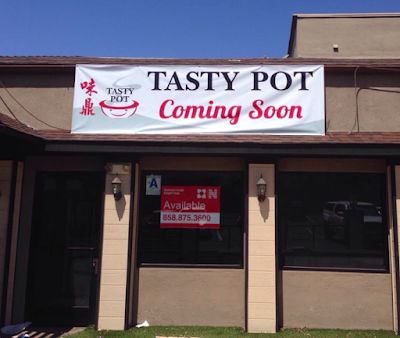 Tasty Pot will debut in Mira Mesa and the Convoy District and offer a menu of traditional Taiwanese fare. 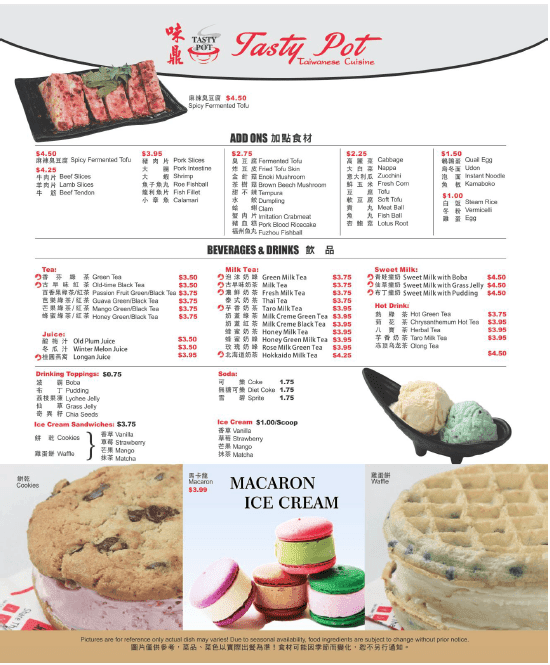 Tasty Pot currently has locations throughout California, including eateries in San Jose, Newark, Berkeley, Cupertino, Sacramento, and San Francisco. The San Diego outposts will sit at 4698 Convoy Street, Suite 107 in the Convoy District and 9379 Mira Mesa Boulevard. Both San Diego Tasty Pot branches are owned by Fu Xing Wu, are expected to open by early-February, and will have the same menu centered around Taiwanese boiling hot pot soups from spicy fermented tofu to curry soup base with fish balls served in individual hot pots rather than the traditional family style, as well as unique ice cream flavors, juices, teas, and boba drinks. 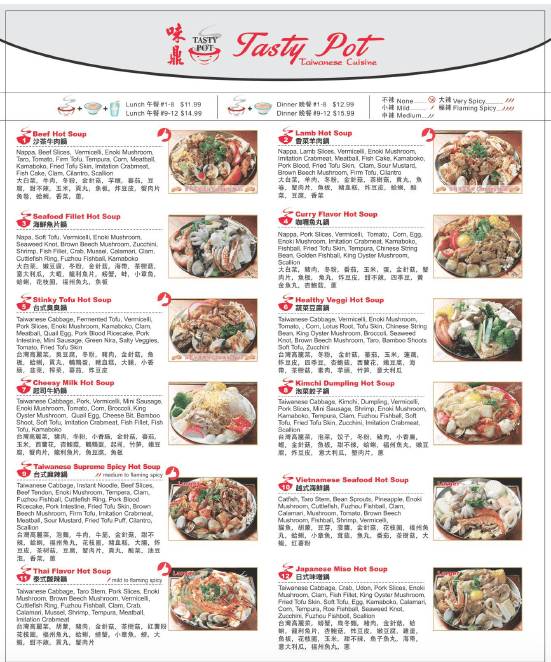 For more information, visit tastypotusa.com and check out the menus below.